Lyrics to the song Windswept as recorded by Bryan Ferry. 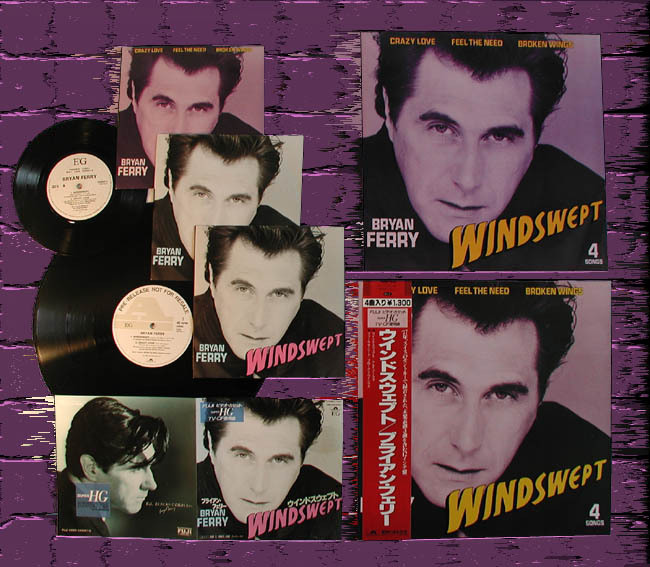 Windswept was the third single release from Bryan Ferry's 1985 album Boys And Girls. The single coupled with the Van Morrison song Crazy Love reached number 46 on its 3 week period on the UK charts. The 12" single and 7" EP contained 3 previously unreleased tracks, Crazy Love, Feel The Need (Detroit Emeralds) and a Ferry original, Broken Wings. The video for Windswept was directed by avant-garde artist Derek Jarman. The song was performed live during the 1988 tour and the Mamouna tour in 1994. A live version from Glasgow 10th December 1988 was included on The Archive And Live Collection" 1993. Mark Knopfler Guitar (The musicians have never been specified for this song other than the general credits for the Boys And Girls album).